1. That calling to Allaah is the path of those who follow Allaah’s Messenger (salallaahu ‘alaihi wassallam). 2. Attention here is given to sincerity because many of those who call to the truth only call to themselves in reality. 3. To have sure-sightedness of knowledge is from the obligations [when calling to Allaah]. 4. From the indications of the beauty of Tawheed is being free from ill speech regarding Allaah. 5. From the ugliness of Shirk is that it entails blasphemy towards Allaah. 6. And this from the most important of them, that a Muslim should stay away from idolators so he does not become like them even if does not commit Shirk. 7. Tawheed is the first obligation. 8. That a person begins with Tawheed before all else, even before the prayer. 10. That a person may be from the People of the Book yet he does not know the testimony of Tawheed (the Shahaadah). Or he may know it but does not act in accordance to it. 11. Giving attention to teaching people in stages. 12. That one begins his call with the most important affair then the most important after that and so on. 13. How Zakaat is to be spent. 14. That the Scholar must remove any doubts that the one learning has. 15. The forbiddance of taking the best of the wealth of the people for Zakaat. 16. Being afraid of the supplication of the oppressed. 17. Informing of the fact that there is no barrier between the supplication of the oppressed and Allaah. 18. From the proofs of the correctness of Tawheed is what occurred to the leader of the Messengers and to the best of the Awliyaa by way of hardship, hunger and afflictions. 19. The saying of the Prophet (salallaahu ‘alaihi wassallam): “I shall indeed give the standard of battle to someone..” until the end of the hadeeth, is from the signs of prophethood. 20. The applying of saliva of Allaah’s Messenger (salallaahu ‘alaihi wassallam) to the eyes of Alee (radiyallaahu ‘anhu) is also a sign of prophethood. 21. In this chapter is a proof of the excellence of ‘Alee (radiyallaahu ‘anhu). 22. The excellence of the Companions in their discussing this matter throughout that night and their busying themselves regarding the tidings of victory. 23. To have faith in the Pre-Decree due to the standard being given to one who did not seek it and it being withheld from those who sought it. 25. That calling to Allaah precedes fighting. 26. That it is permitted [for the Muslim Ruler in charge of a country] to fight those who have been previously invited to Islaam but refused. 28. Recognising the right and duty to Allaah in Islaam. 29. The reward for the one through whose hand even one person is guided. 30. To swear by Allaah when issuing a fatwa (as the Messenger did whilst directing ‘Alee). Allaah, the Mighty and Majestic, said to his Prophet (salalallaahu alaihi wassallam): Say to them O Muhammad: “This is my Path.” i.e. this is my practice, this is my Path, and “I call to Allaah,” i.e. I call to singling Him out alone with worship, the Majestic and Most High – and to leave off whatever is called upon besides Him, regardless of whether that be Prophets or the righteous, or whether it be stones, or idols or other than that. That is because it is Allaah who has created us and He is the One who provides for us. He is the One who controls our affairs – and our souls are in His hands, and our hearts are between His two Fingers. So it is not permitted that worship be directed to any one besides Him, and it is not permitted to call upon other than Him, or to call to the worship of other than Him. All of this is forbidden and it is not permitted to act in that manner. Therefore, the Prophet (salallaahu ‘alahi wassallam) is saying: Know O people! That this is my Practice, my Path that I tread, and I call to Allaah “with sure-sighted knowledge (baseerah)” from the Book of my Lord, or that which He has revealed to me from the Sunnah. The Messenger continued to say, “me and those who follow me.” Meaning: they emulate and follow me in this Path. This is the testimony of faith, the Shahaadah and it encompasses Tawheed – and it includes both negation and affirmation. So the term: “laa ilaaha illallaah” i.e. that there is no diety except for Allaah, means “laa ma’booda bi haqqin ghairillaah” i.e. that there none that is deserving of worship besides Allaah. So the term, “illallaah” (except Allaah) is affirmation of worship being solely for Allaah, and that He is singled out alone as the Deity or God to be worshipped to the exclusion of others besides Him. And if they obey you in that, then inform them that Allaah has obligated upon them five daily prayers in every day and night. The indication to the middle prayer here is the middle of the five, which is the ‘Asr prayer – before it is Fajr and Dhuhr in the day, and after it Maghrib and ‘Ishaa in the night. And the command for the observance of these five prayers is to adhere to everything that they necessitate from the conditions of the prayer, the pillars and obligations. But whatever thing you spend [in His cause] – He will compensate it; and He is the best of providers. So from this hadeeth [when Mu’aadh was sent to Yemen] we conclude that da’wah begins with Tawheed. From this hadeeth we conclude that daw’ah is given in stages wherein the caller begins with the most important affair, then moves on to the next most important affair. This hadeeth shows that the Religion includes and encompasses the rights of the body and of wealth. That it is not permitted for the collector of Zakaat to take the best of the possessions of the people. That the Zakaat that is gathered from the people is also distributed amongst the poor of those people. That the wealth of the people is sacrasanct and thus it is not permitted to take it except with due right. From the hadeeth it is understood that taking the best of the possessions of the people in Zakaat is unjust. That the supplication of the oppressed is answered. It is also understood from this hadeeth that Socialism or Communist Marxism (Ishtiraakiyah) is forbidden due to the fact that the wealth of the people is forbidden for others to take. 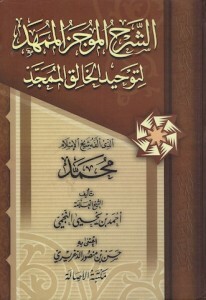 Firstly: The biography of the narrator: He is Sahl b. Sa’d b. Maalik al-Khazrajee al-Ansaaree – the well known Companion. His father was also a Companion. Sahl (radiyallaahu ‘anhu) mentioned that when Allaah’s Messenger (salallaahu ‘alaihi wassallam) died, he was fifteen years old. He is the last of those who died in Madeenah from the Companions in the year 88AH, and it is said it was in the year 91AH, and he was over one hundred years old. Secondly: From the saying of the Prophet (salallaahu ‘alaihi wassallam): “Indeed I will give the standard of battle tomorrow to a man who loves Allaah and His Messenger – and whom Allaah and His Messenger love..”, we see the undertaking or embarking of the Sahaabah in the seeking of the love of Allaah and His Messenger, and their taking of the means that would necessitate the love of Allaah and His Messenger (salallaahu ‘alaihi wassallam). Thirdly: The ardent desire for that which necessitates Allaah’s love and the love of His Messenger for the servant is an evidence proving the strength of Imaan for the one who possesses that ardent desire. Fourthly: In this hadeeth there are the special characteristics of the Sahaabah; their desire for the love of Allaah and His Messenger; and the quality of ‘Alee b. Abee Taalib (radiyallaahu ‘anhu) since he was the one intended. Fifthly: The saying of the Prophet (salallaahu ‘alaihi wassallam): “And Allaah will grant victory at his hands.” – This signifies a special trait of ‘Alee b. Abee Taalib (radiyallaahu ‘anhu) and his excellence due to the fact that Allaah enabled the conquest of Khaibar at his hands, whilst before this they were experience something of difficulty in conquering it. Sixthly: The saying of the narrator: “So the people spent the night discussing and debating,” meaning they debated and spoke concerning who they anticipated would be the recipient of the standard of battle. Eighthly: The narrator stated: “It was said: “He (‘Alee) has an ailment in his eyes.” So the Messenger sent for him, and he was brought. Then Allaah’s Messenger (salallaahu ‘alaihi wassallam) spat in his eyes and supplicated for him. He was cured as if he had not had any pain.” So this a miracle of the Prophet (salallaahu ‘alaihi wassallam) wherein ‘Alee b. Abee Taalib (radiyallaahu ‘anhu) was cured from conjunctivitis (or opthalmia) straight away even though it is known that which conjunctivitis has within it of pus and infected wet, or moist matter. Everything in the ability of Allaah is easy! Ninthly: The saying of the narrator: “Then Allaah’s Messenger (salallaahu ‘alaihi wassallam) gave him the standard.” So this shows the distinctive quality of ‘Alee b. Abee Taalib (radiyallaahu ‘anhu). Tenthly: The saying of the Messenger (salallaahu ‘alaihi wassallam): “Go forth steadily with ease until you reach their settlement. Then call them to Islaam, and inform them of their obligations with respect to the rights of Allaah, the Most High.” This shows the station of inviting to Islaam – and that the fighting and the performance of Jihaad of the Prophet (salallaahu ‘alaihi wassallam) was for the purpose of spreading Islaam to every corner of earth. (i.e. That he did not fight except to free people from the enslavement of the creation so they may devote themselves in servitude to the Creator of the worlds). Twelfthly: As for the saying of the Prophet: “For by Allaah, that one man is guided by way of you is better for you than red camels.” Then the red camel is more excellent than other camels, and was the most precious of possessions to the Arabs. Thirteen: And from this same sentence we see the reward of inviting to Allaah, the Most High, and that one person embracing Islaam is better than the most precious of possessions and more beautiful than it.